She is an accounting and financial management executive with more than twenty two years of progressive experience in operations management within nonprofit organizations. Throughout her professional experience, she gained skills in strategic planning, managing projects and improving efficiency of operations. She is able to identify areas of strengths and weaknesses, formulate and implement policies and procedures aimed at strengthening effectiveness and standardizing practices. Dida’s contribution is in enhancing transparency, accountability and integrity in the nonprofit sector through performing situation analysis, assessing risks and formulating adequate policies and systems. Her latest accomplishment is her 3 years assistance in reorganizing and implementing new operational processes for an organization in Abu Dhabi focusing on children requiring family based child care. Her longest and most recognizable experience is her financial controller job, for 19 years, at a national non-governmental organization with 140 staff and 15 facilities spread all over the Lebanese territories. 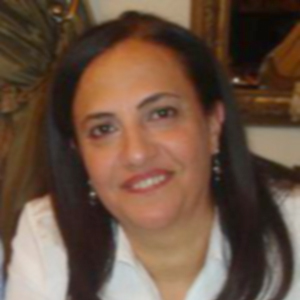 During her career as a financial controller, the finance department was nominated by the international office as a pilot project in the regional area, and she was assigned twice to assist and support the regional financial controller in applying new systems and programs in the Middle East region. Dida Zalzal, born in 1965, is a holder of an MBA with emphasis in finance, a Diploma in accounting and a BS in Biology.